As India's #1 operational car leasing company, we deliver a comprehensive range of corporate car mobility solutions. LeasePlan is the world's leading vehicle leasing and fleet management company. With offices in 33 countries and over 5 decades of experience. 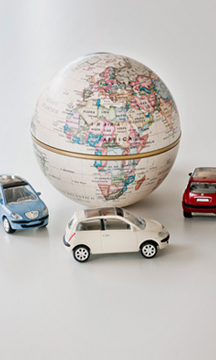 LeasePlan manages a total fleet of over 1.5 million cars across the globe. As India's #1 operational car leasing company, we deliver a comprehensive range of corporate car mobility solutions. Right from helping company's design their car policies to the day-to-day management of the vehicles. We are a proactive fleet management partner for over 1,400 companies. Our solutions have helped companies realise higher efficiencies, increased productivity and stronger employee motivation.